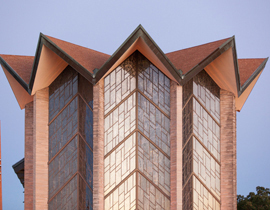 Parchment is the approved transcript vendor for Valparaiso University. By partnering with Parchment, Valpo is able to offer express shipping, transcript authentication, shipment tracking, email notification of status updates, 24-hour access to order status information, online payment, and secure electronic delivery options while maintaining our ability to fulfill requests for paper transcripts. We are unable to release transcripts to students or alumni with any outstanding obligations to the University. Please resolve any outstanding obligations with the applicable offices before placing a transcript order. Student restriction details are available to current students through DataVU under the Students menu. All currently enrolled Valpo students and alumni order official transcripts through DataVU. For processing requests from prior to 1990, please allow up to 10 additional business days until those records are retrievable in electronic format. Once placed in Data VU, orders for electronically delivered transcripts are typically fulfilled on the same day. Orders for paper transcripts are typically mailed on the same day that the order is placed, if the order is placed by 3 p.m. Orders for on-campus pickup are typically ready after 2 hours. Photo ID will be required for all pickup orders. Please note that the process will take longer for alumni requesting first-time access to Data VU. Additional processing time is required for Law School transcripts because students of the Law School are given the option to add their class rank to their transcript. Official transcripts must be requested by the student through the Parchment online ordering system, which is accessed through DataVU. Unofficial transcript information may be accessed by current students, their advisors, and other academic departmental personnel via DataVU. Be aware that unofficial transcript data will not show the student name or ID number and will typically not be accepted for official transactions such as application for admission or as proof of a degree. The Registrar will not provide unofficial transcripts to any requestor, including University personnel. Verification of enrollment for a current student may be requested in person during regular office hours or by completing and mailing the form to the Registrar (forms and contact information are found here). When requesting verification, please sign the request. FERPA (Family Educational Rights and Privacy Act of 1974) prohibits the release of your information without a written signature. All enrollment and degree verification for companies/employers (not requested by a current student) is performed by the National Student Clearinghouse through their online portal. Please be aware that any privacy hold on a record may prevent the Clearinghouse from verifying information due to FERPA restraints along with other constraints per Clearinghouse policy. Valparaiso University will not issue official transcripts, duplicate diplomas, or verify enrollment or degree information if there is any financial obligation or hold, including a collections hold, on the account of a student or alumnus. Does Valpo offer secure electronic delivery of transcripts? Yes. 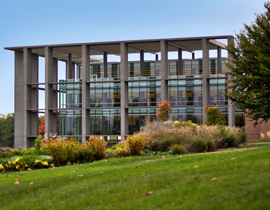 Valparaiso University is able to offer express shipping, transcript authentication, shipment tracking, email notification of status updates, 24 hour access to order status information, online payment, and secure electronic delivery options while maintaining our ability to fulfill requests for paper transcripts. Expedited shipping of paper transcripts is available for an additional fee. Orders for electronically delivered transcripts are typically fulfilled the same day. 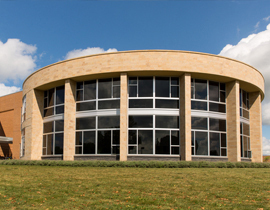 Orders for paper transcripts are typically mailed on the same day that the order is placed, if the order is placed by 3:00 p.m. Orders for on-campus pickup (photo ID required) are typically ready after 2 hours. For records older than 1990, requests can take up to 10 additional business days. What happens if there is a hold on my account? If your account has a hold, you will be unable to submit an order. Can I forward a PDF of my transcript? Only electronic transcripts delivered directly to the recipient or unopened original paper transcripts are official. The recipient of an electronic transcript receives two emails. The first has instructions for securely downloading the transcript, and the second has the password that will be required. A transcript PDF forwarded as an email attachment is neither secure nor official. Also, a printout of a transcript PDF is not official. Can you deliver an electronic transcript directly to LSAC or AMCAS? Yes. Both recipients can accept transcripts sent electronically from Valparaiso University. How are cover pages handled for application services? Our vendor automatically generates the application service’s cover page attachment when a student orders a transcript for the recipients listed below. Students can expedite the processing of their order by entering their application service ID and transcript number during transcript order entry and completely eliminate the need for faxing or uploading an attachment to complete their order. How can I send attachments with my paper transcript? Yes, there is an option for including attachments, and they must be uploaded at the time of order. Can I send an attachment with my electronic transcript? Only currently enrolled Valpo students and alumni may order official transcripts through DataVU. A third party may not place a transcript order. Do Valpo transcripts have a university seal and registrar signature? Yes, every Valpo transcript has the university seal and the University Registrar’s signature on it. Can I get an unofficial transcript for my records? Current students may review their unofficial transcript (Academic Course Record) at any time through DataVU. If you are not a currently enrolled student, you will need to order an official transcript. How do I make sure that my current semester grades or degree are posted on my transcript before it's sent? There are two options available for adjusting the timing of your order. You may select “Hold for Grades” to have your transcript order held until the current semester grades are finalized. If it is your final semester and you have completed a Graduation Application through DataVU, you may select “Hold for Degree” to have your transcript order held until the degree is posted to the transcript. These options are only available for the current semester. If you need grade or degree details posted from a future semester, please wait to place your order. Can I pick up my transcript on campus? Yes, on-campus transcript pickup is now available. Please continue to place your order through DataVU. Orders for on-campus pickup are typically ready after 2 hours. Photo ID is required. Third parties may not pick up transcripts; students and alumni must pick them up themselves. When placing your transcript order online, mark the box indicating you have an attachment that needs to accompany the transcript. You will receive an email at the address you provide in your request, with a cover sheet for you to return to us with your attachment. You should note on the form that you do not have an attachment, but that you need to have the transcript notarized for an apostille. When we receive your cover sheet, we will release the transcript for printing and notarization prior to mailing. 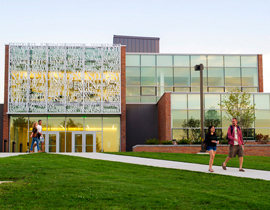 For an additional cost, students may place an order for transcript pickup on campus. If you need the transcript notarized, please notify us via email to registrar@valpo.edu after placing your order online. We will then release the transcript for printing and notarization. Photo ID is required to pick up transcripts at our front desk. For more information, view the Certification of Documents page. How do alumni order transcripts? All currently enrolled Valpo students, alumni, and students taking courses offered through The Connecting Link may order official transcripts through DataVU. Valpo alumni are extended the courtesy of lifetime email accounts and DataVU access. To reset your password, visit the Account Management System: apps.valpo.edu/ams. Click the Reset My Password link and follow the instructions. If you have not setup recovery options, contact the IT Help Desk to request a password reset; ID verification may be necessary. If this is the first time that you will be accessing DataVU, then you can request an account by going to DataVU and completing the Alum Account Request under the Alumni and Friends menu. Please note that this process can take up to two business days and may require you to provide verification of your identity to protect the privacy and safety of your data. Please plan accordingly. Is a credit card or debit card required for transcript orders? In order to complete a request using the online ordering form, a credit or debit card is required.